Bonfire Communications just launched FIRED UP! A new web radio show produced by Preston Lewis and Webmasterradio.fm, with host Gordon Rudow, CEO of Bonfire Communications. Smart content, every Monday morning at 10:00 AM (PT). Today’s communicators need to be equipped with the tools and techniques to understand and connect with their audiences. Gordon Rudow, CEO of Bonfire Communications, and a wide array of thought leaders discuss this challenge and provide both breakthrough thinking and practical actions to help you FIRE UP and drive new action with the people who matter most. FIRED UP! is a weekly radio show that explores the connection between communications and human motivation. The program is dedicated to making professional communicators more effective at motivating people to buy products and services, agree to strategies and business initiatives, and proactively embrace efforts requiring shifts in thinking, feeling, behaving, and interacting. While taking a stand for relevance and compassion, we will share ideas that create higher returns on our audience’s communication investments. In that sense FIRED UP! is a show that delivers both business impact and social importance. Guests so far have included some of the smartest minds in the Corporate Communications, Change Management, Internal Branding, and Human Resources industries. Thought leaders include Dr. Beverly Kaye, Marshall Goldsmith, Dr. Dawna Markova, Terry McKenzie, Jeffrey Saltzman, Shel Holtz and Language in Common. Many more minds are coming soon, so please stay tuned. Subscribe on iTunes™ and please vote and let us know what you think. Of course, you can also follow FIRED UP! on twitter. I am a microblogger. Yep, that’s it. I admit it. Spending time developing a blog entry seems to take more time than I have right now. No worries – follow me on Twitter and you will see what’s up. What has the advance of micro-blogging done to the “traditional” blog post? I have learned that my blogging style lends itself to micro-blogging. Make a point, make it fast. Link it, start a conversation, then onto the next. For those points that need more time, spend more time, but make sure it relevent. Whether it’s to me or others, relevence of course is only in the eyes of the beholder. If I think it’s interesting there is a pretty good chance others will. Sure, there are many others who have come to this realization. I am curious about the data. After spending time at SAS all week, I have spent more time than usual thinking about data. Messy data, clean data – clogging data. How is the internet shifting to remove the crap that still sits out there filling-up server space? Who is cleaning-up the mess and why? Obvously, lots of questions remain and I’m sure will be answered shortly. No surprise that folks are updating their LinkedIn profiles these days. Time to cover your bases with all that’s happening in the financial/ job market. Check-out this great article about what the revenues are looking like for sites like Xing and LinkedIn. Wordle: cool item of the week. Do you need two dashboards? You have your car, and your computer. Would you use a digital dashboard to track your social media browsers and hits? I understand that some use iGoogle to develop a custom dashboard, but does it offer all you need to monitor activity? Not sure about you, but I am looking for more detail or a pro-active traffic cop to prioritize for me. Stay tuned. I often refer to the “intersection of internal and external communications as our playground”. When we were little, mama said “play in the street, but not the intersection”. This is a fascinating reference to the constant dialogue between how social media tools support and drive conversation both inside and outside of large organizations. If we play in one of the streets (i.e. internal communications), it’s easier to determine what kind of content to post to specific audiences, and what might be inappropriate. However, when we stand in the middle (i.e. branding), we really have to consider both internal and external audiences. Facebook is one of the best examples of where the rubber is really meeting the road. What photos of my birthday party do I upload to my Facebook page? To upload or not to upload, that is the question. Congratulations to the gRide Team for another win! Bonfire captured the IABC Gold Quill for it’s work on the Genentech gRide Commuter Transportation Awareness Program. This is the second Tier 1 gRide Award, coming weeks after Bonfire learned that we also won the PRSA Silver Anvil Award. 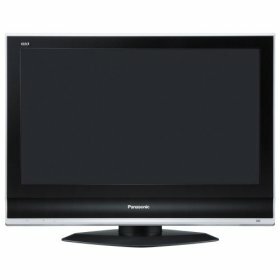 My wife just bought me a Samsung flat screen TV for my birthday. Call it funny, but my first question was if she bought the s-video cable to connect the screen to my computer. This might be my first step in taking control of my home entertainment experience. Sure, I have Dish Network with the ability to time shift network television. However, now it’s much easier to integrate my on-line and off-line entertainment experience. I probably could have done this with my old tv, but now it sure looks much cooler. Thanks Ellie. Now off to Best Buy to procure my cable. It amazes me how often I find another discovery of pure creative. Walking the streets of San Francisco on my way to a meeting on 2nd Street, I came across another fine piece of street art. On Minna street, local artists have added quite a bit of color to the sprawling district, just a few steps from Market street and a few blocks from the ball park. Thanks for taking the time, and leaving your mark. • Bonfire lead a Social Media workshop in Toronto at the ALI event on 4/3/08. • Bonfire workshop: Harness Collective Wisdom and Build the Best Internal Brand at the ALI Internal Branding event in Washington D.C., 5/12 - 15/08. • Bonfire delivered a workshop on Audience-Centric Communications Planning at the Society for New Communications Research event in Sonoma, 4/22/08. • Bonfire shared the gLife story at a IABC International Conference session in NY 6/24/08. • Preston Lewis delivered Networking Now and Personal Branding Workshop at UC Berkeley IABC Skill-building Session on 9/25/08. • Preston Lewis facilitated SpeedNetworking Session at UC Berkeley on 10/1/08. 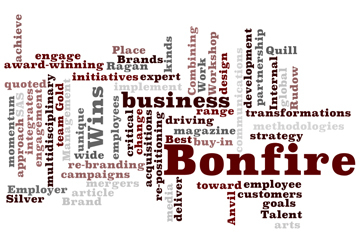 • Bonfire delivered an Internal Branding Workshop at the Ragan event at SAS in Cary, NC on 10/14/08.